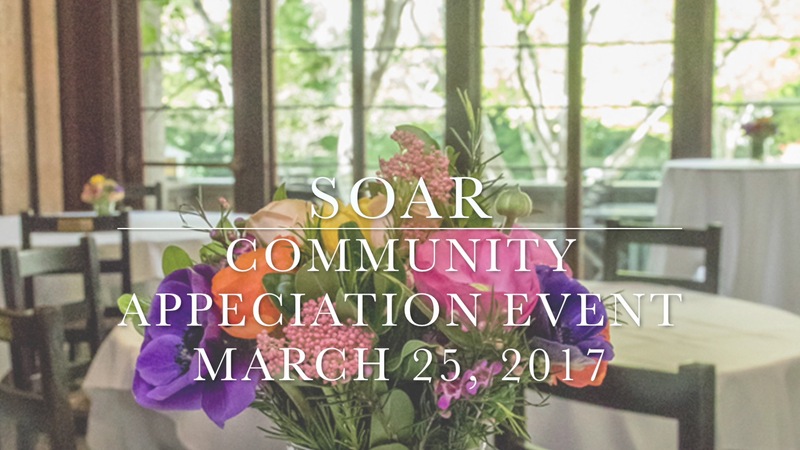 About 100 SOAR supporters, volunteers, friends, and participants gathered at the historic Faculty Club on the UC Berkeley campus for the 2017 SOAR Community Appreciation Event. Friends and colleagues reconnected with each other, enjoyed refreshments, and bid for silent and live auction items. SOAR Board members and youth participants shared their experiences and inspired listeners by recounting SOAR’s impact on their lives.